Changing tires doesn’t have to mean a trip to the garage. It's easier than you think. Changing your own tires is a job you can handle yourself if you already have rims attached to your tires. Anyone can do it, it just takes knowledge, practice and confidence to build the skill. You can join the many people who have embraced the freedom of not paying mechanics to do the job – and all the booking, travel time to the garage, waiting around, delays, and headaches that go along with it. Plus, if you’re comfortable changing a flat tire, you’ve got the skills to do the seasonal changeovers yourself (and we believe every driver should be comfortable changing a tire.) It really comes down to jacking up the car and changing the tires on your own, just like if you had a flat and were putting the spare on. Now if that seems like a daunting task, we’re here to make it doable. This Q&A will help put your doubts to rest. Doesn’t the job require a professional? Knowing how to change your own tires doesn’t mean you can avoid getting your car serviced regularly. That being said, doing the tire change yourself will save you from paying the mechanics to do that particular job when you do need to visit the auto shop. You’ll only need them to take care of the jobs that are best left to a professional, like balancing and aligning your wheels. If you buy brand new tires then it would be best to get an alignment. Or if you notice your current tires wearing unevenly, it could be due to poor alignment. But is it safe to do the actual tire change? 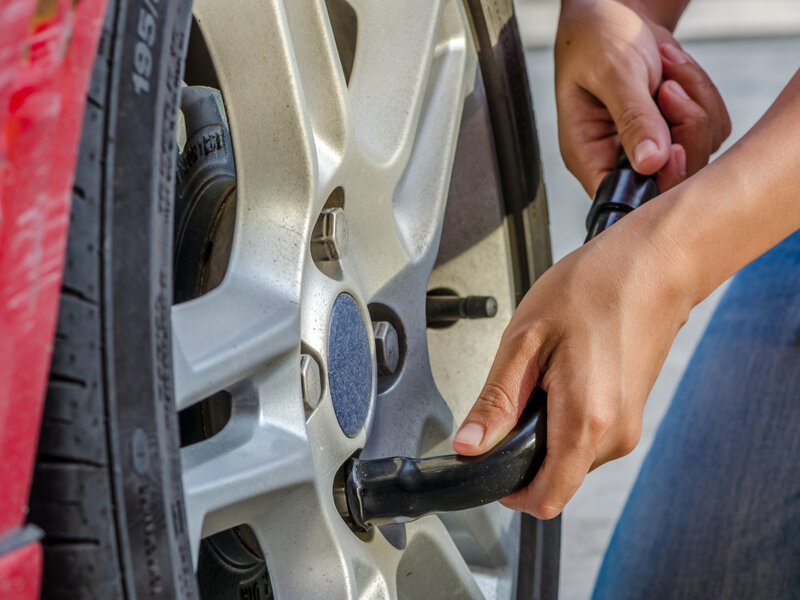 With the right tools, it’s absolutely safe to change passenger vehicle tires on your own. The job really isn’t that tough or inherently dangerous. But it does involve getting your car up in the air. And that’s where a little forethought goes a long way. Can the jacked car fall on top of you? When your car is jacked, you should never go under the vehicle – it isn’t necessary to do when you’re changing tires. You can jack your car safely if you follow the instructions for jack placement in your vehicle owner’s manual. Many vehicle frames have molded plastic on the bottom with a cleared area of exposed metal specifically for the jack. 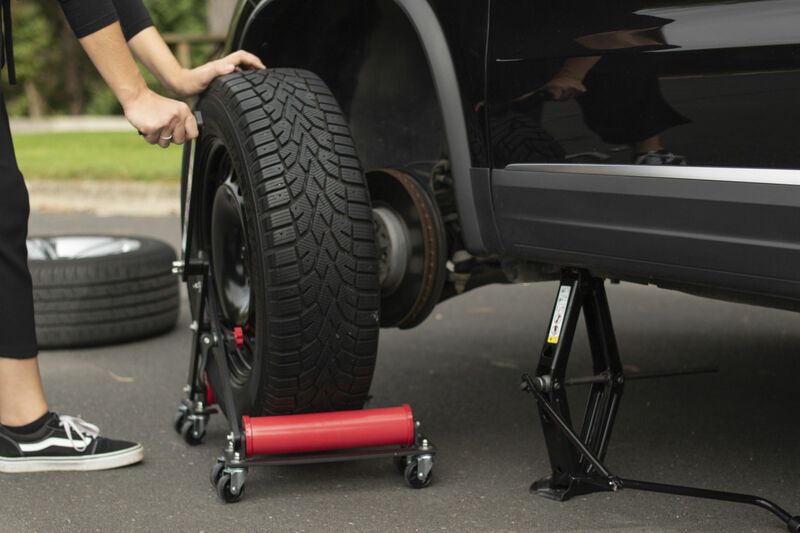 If you have a jack stand, place it under a secure point of the vehicle frame before you remove the wheel. Your jack will also work correctly if you choose the appropriate place to do your tire change – on pavement. That means concrete, not softer asphalt. A jack stand can actually sink into thin asphalt, especially on a hot day when it gets softer. Is it safe to drive afterwards? Will the wheels be tight enough? Don’t worry, a wheel can’t just fall off spontaneously! If it really is loose, you will hear loud knocking sounds while driving before anything more serious happens. You’ll have time to pull over immediately to check the wheel nuts and re-tighten them, and see if that solves the problem. Whether you change your own tires or not, knowing how to tighten your wheels is an important skill to have. Even if you had your tires changed at a garage, the wheel bolts will still loosen over time, meaning the wheel is no longer as tight as it should be. You can prevent this by tightening the wheel nuts using a torque wrench whenever necessary. We advise checking the torque specifications in your car’s owner’s manual when tightening to make sure the nuts are tight enough. Why go to the trouble having winter tires mounted on rims? 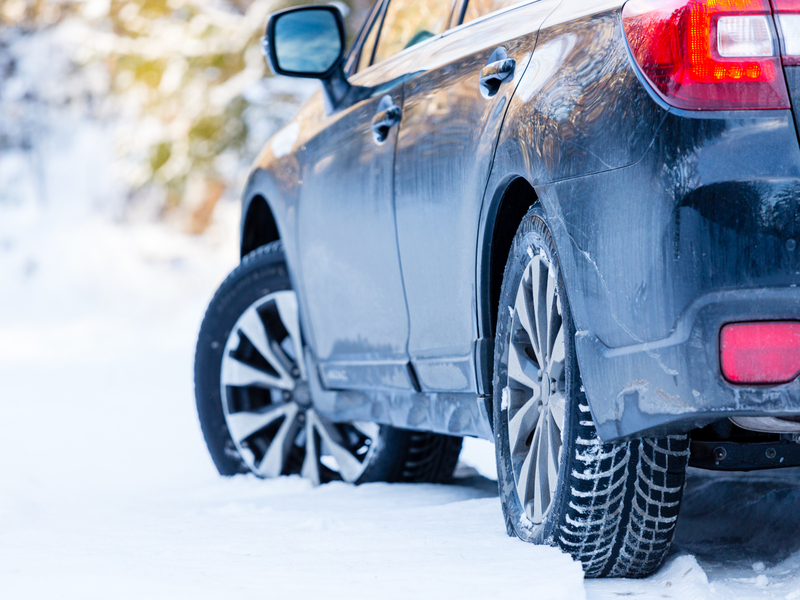 Winter tires should be mounted on a dedicated set of wheels, whether its relatively inexpensive steel or fancy alloy rims. Many shops will charge $60 more to change unmounted tires versus swapping tires on wheels, so it only takes a couple of seasonal changes to effectively pay for the rims, and it pays even quicker if you change your tires yourself. Besides the cost of mounting/dismounting your tires twice per year, and making it possible to change over your tires yourself, having winter tires on rims actually helps them last longer because each on/off cycle risks damaging the tires or even the rims themselves. Once you get past the fear and actually do it, all the questions will evaporate. Changing tires is easier than assembling Swedish bookshelves – just follow the steps. Try it once and you can do it for life! It’s a mystery at first, but not unsolvable. The right tools make all the difference. Find out more from our Tools You Need guide. The learning isn't over when they have their license in hand. New driver in the family? Parents, You’re in for a whole new ride. When my eldest daughter Devan got her driver’s license, I learned a major parenting lesson. Even though she may have completed her formal driving education, I still had a major role to play in the learning process. It wasn’t about teaching her to become an auto mechanic or anything like that, but educating her on how to maintain a car was essential to her gaining confidence as she became a better driver. Getting a driver’s license is a rite of passage in our society, a clear sign that a young adult is growing toward independence. Raising your new driver’s confidence level is one of the best things you can do for them. I taught Devan how to pump gas, refill windshield wiper fluid, know what each dashboard warning light means, check tire pressure, and how to change a flat tire. 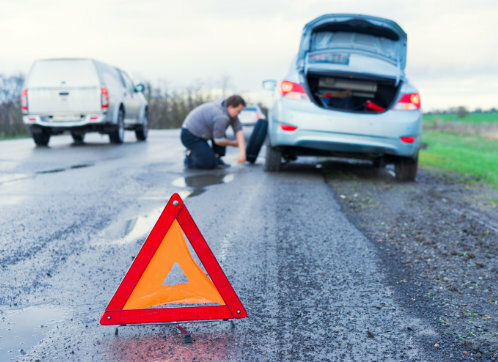 You could pay for roadside assistance, or you could be on-call as “parent-side assistance” – but realistically, you can’t always be there to change a flat for your new driver. For me, it really hit home when Devan went off to university. I pictured her stuck on her commute, late at night, unable to do anything until someone else arrived. Once I taught her how to change a tire, I felt confident that she can jump straight into action when she gets a flat, and arrive home safe – instead of worrying that something might happen while she was waiting for help. Help won’t always be there – if you got a flat in an area without cell signal, you wouldn’t even be able to call for assistance. At some point, your new driver might go on a road trip and travel through remote areas. The likelihood of getting stuck somewhere isn’t as far-fetched as you’d think – navigation apps have led to drivers getting stuck in the strangest places! It’s always a good idea to be prepared. Before you head out, especially on a long trip, pack an emergency kit in your trunk. Items such as a flashlight, jumper cables, and first-aid kit are helpful to have just in case. We created our own safety kit with essential products you need to stay safe on the road in the event of a car crash or flat tire. 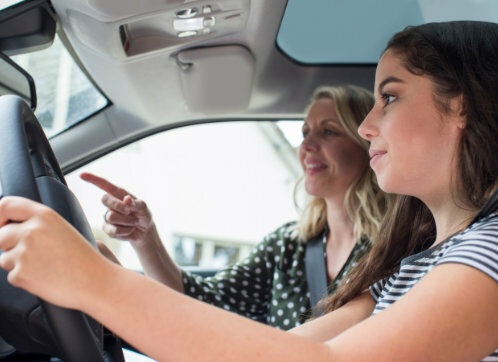 Teaching your daughter or son how to change a flat doesn’t just help them when they’re driving – it empowers them to help their friends if they’re a passenger on their ride, or even help others they encounter on their travels. This story of a good samaritan helping an 80-year-old father with a flat tire is a heart-warming example. 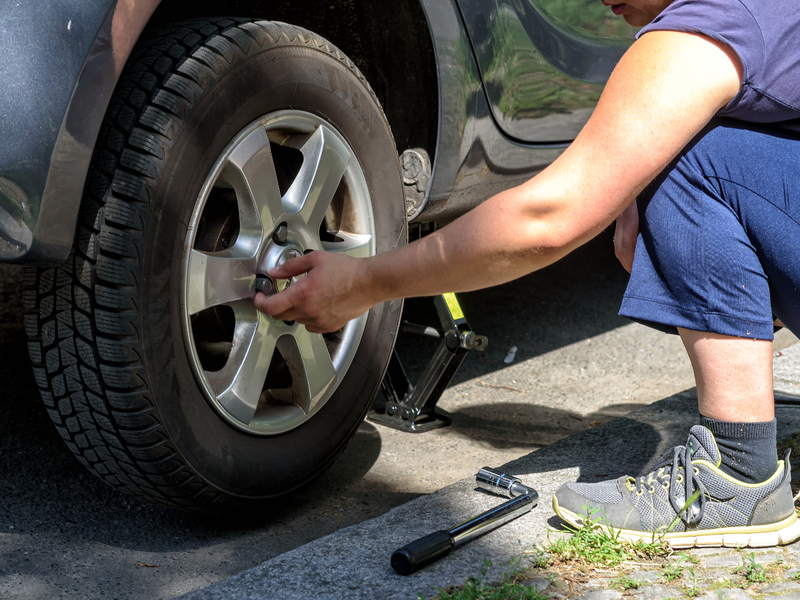 Be confident that your new driver can tackle a flat tire, by practicing how to change a tire at home – before they get into a situation when they’re on their own. Run them through the process a few times until they get the hang of it. The truth is, changing a flat is a necessary skill for all drivers – are you setting a good example? If you don’t know how to change tires yourself, now’s the perfect time to learn! Follow our our step-by-step illustrated guide on how to change a tire. Try it once, and you can do it for life!